People say that in Duluth everyone knows everyone. Sometimes even everyone knows that you need chickens. 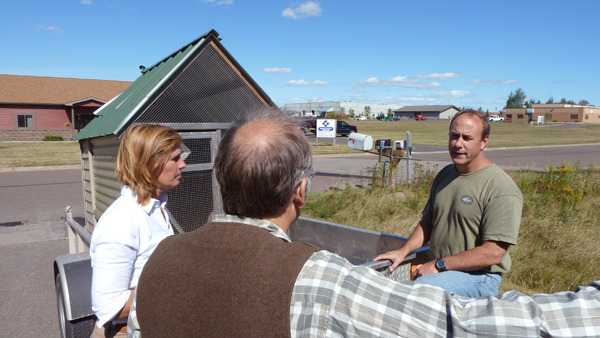 Andrea and Jim, local chicken enablers, stopped by Meteek today to drop off a couple of chickens for us. They hatched an extra rooster and knew they wouldn’t keep him, and since he was such good friends with Matilde, they came as a pair. We didn’t know Andrea and Jim were bringing them over. We didn’t know they had an extra rooster. 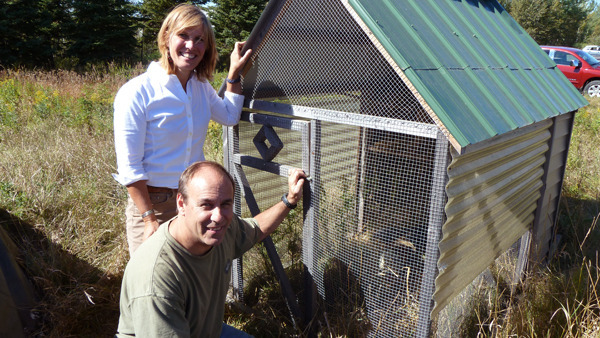 We didn’t even know that Andrea and Jim kept chickens. But they heard we had been thinking about getting chickens. Someday. And someday is today. We also found out that not only do chickens eat tomatoes, they also eat mice. 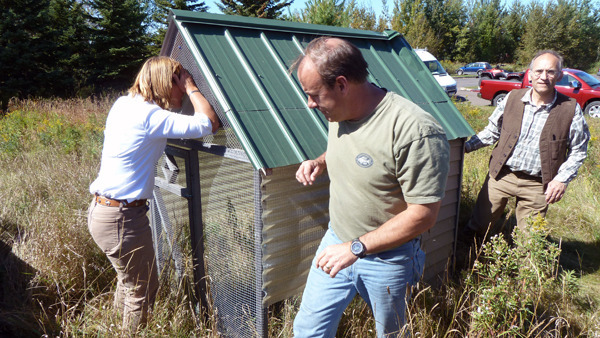 We put Kazoo and Matilde out in the meadow in the chicken tractor that Andrea and Jim conveniently brought over for us. Kazoo found a mouse, Matilde took it from him and body-bocked him for about five minutes, then Kazoo got it back. Two pecks and a gulp, and it was down the gullet. Perhaps this is why the CSI shows are so popular–not enough people have their own chickens to watch.